Collected lots of colourful old jewellery over the years. Been meaning to do try this for a while… If i can see jewellery more easily I tend to wear and enjoy it more. 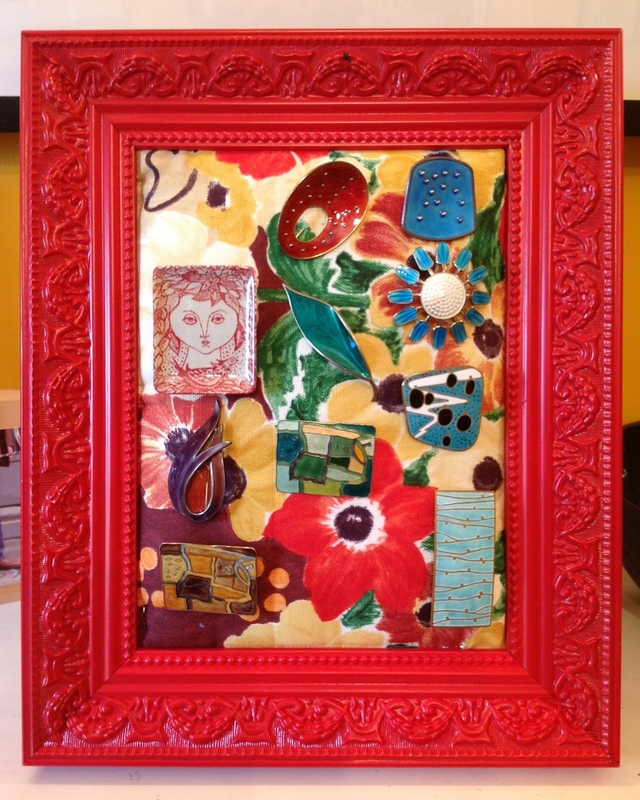 The frame is from Ikea, the fabric is a sample of Sanderson Still Life fabric. I padded the fabric with some scrap quilt wadding so I could pin on the brooches and stapled the edges.